PharmPAP, a phase I clinical trial led by Bruce Trapnell, MD, MS, aims to evaluate the safety, pharmacokinetics, and pharmacodynamics of the inhaled recombinant human granulocyte/macrophage-colony stimulating factor (GM-CSF), in support of its approval as the first effective drug therapy for autoimmune pulmonary alveolar proteinosis (PAP). Trapnell, Director of the Translational Pulmonary Science Center, focuses his research on the pathogenesis and therapy of rare lung diseases and mechanisms by which GM-CSF regulates innate immunity and lung host defense. The National Center for Advancing Translational Sciences (NCATS) is supporting the study through a $1 million administrative supplement to the Center for Clinical and Translational Science and Training (CCTST). The CCTST, directed by James Heubi, MD, helps investigators produce effective study designs and competitive grant proposals. 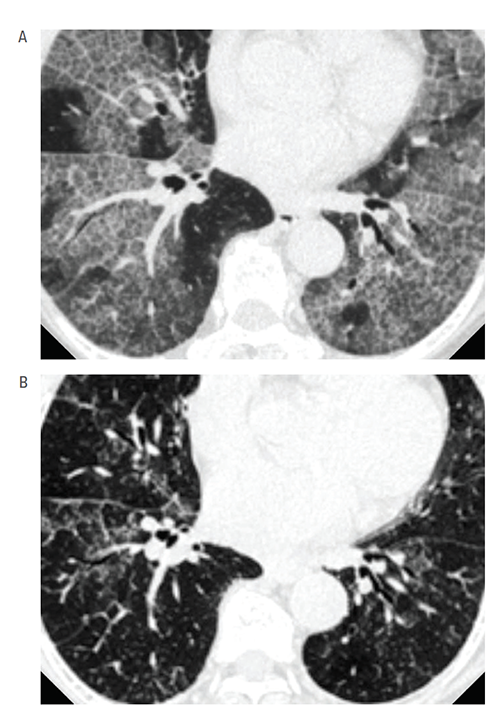 One key area is autoimmune PAP, a rare lung disease characterized by pulmonary surfactant accumulation and hypoxemic respiratory failure without FDA-approved pharmacologic therapy. Currently, the disease is treated by whole lung lavage, an invasive procedure that requires general anesthesia, endotracheal intubation of each lung, and mechanical ventilation of one while the other is repeatedly filled with saline and drained to physically remove surfactant. Two decades of basic, clinical and translational research led by Trapnell’s group and others have lifted PAP from obscurity, defining the disease pathogenesis and leading to the development of diagnostics that are now in clinical practice. Several novel therapeutic approaches, including inhaled GM-CSF, have also resulted from this research. Studies in mice initially identified a critical role for GM-CSF in regulating surfactant homeostasis, which is critical to alveolar stability, lung function, and host defense. Passive transfer of patient-derived GM-CSF autoantibodies reproduced autoimmune PAP in previously healthy non-human primates and established the disease pathogenesis. Subsequently, toxicology studies—also supported by NCATS through the Therapeutics for Rare and Neglected Diseases program—paved the way for the PharmPAP trial. Learn more about all of the research support services available to investigators at Cincinnati Children's.